ABOUT: Gino is a very sensitive soul and requires experienced patient handling, if he is unsure of something his general response is to run or rear. He does however love food and responds well to clicker training. He is such a character despite his sensitive nature and spends hours running and playing with his field companions, in between stuffing his face. He can take a while to settle with another horse and tends to speak with his hind legs – we think this to be a defence mechanism acquired from his many years spent as a stallion at stud, we don’t believe he had been properly socialised prior to his admittance to EHPPS. 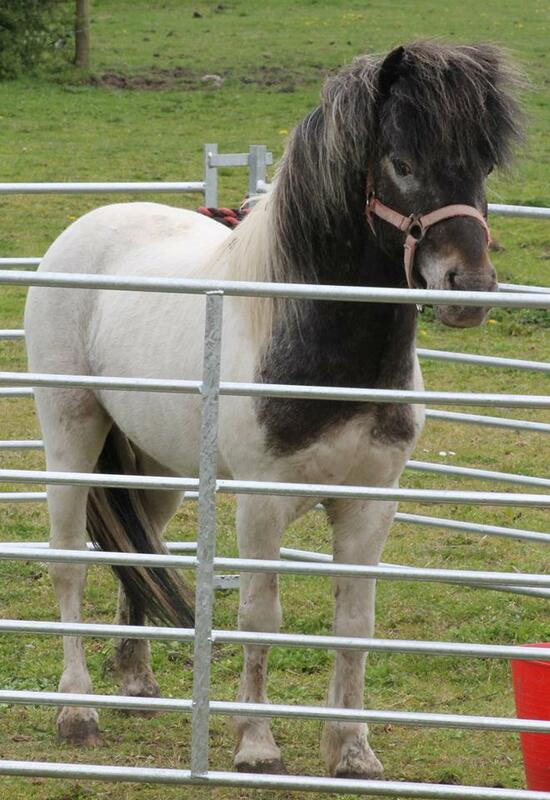 If he doesn’t find a foster home before the spring we will be looking into training him to drive, this handsome little pony really has a lot to give to someone who has the time and patience for him.